We’re building a prayer Wheel! 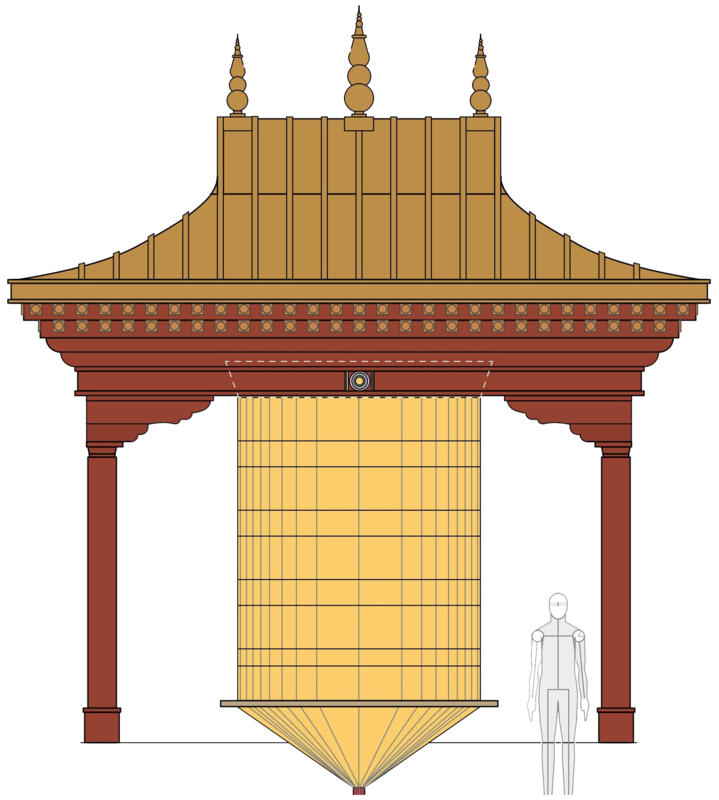 Right now a great way to help out is to help us build our 5 trillion mantra prayer wheel. Learn more get involved at our project home page. Donating to Vajrapani Institute is the best way to support this sacred, transformative place. Your tax-deductible donation will directly support the benefits of retreat for yourself and others. Have a special skill that we can use? Please call our Center Manager at 800-531-4001 x 2 to volunteer or apply for our Work/Study Program. If you want to make regular donations consider joining our If you would like to include Vajrapani Institute in your will, make a non-cash donation such as a stock transfer, or join us in spiritual commitments, visit our gift acceptance policy page. Making statues and images of one’s spiritual master is a powerful method to create vast amounts of positive potential. In February 2011, when asked how to create the causes for Vajrapani Institute to further flourish and benefit beings, Lama Zopa Rinpoche, Vajrapani’s Spiritual Director, recommended we commission a statue of our founder, Lama Thubten Yeshe. The project was started under the guidance of Gelongma Jamyang Wangmo. We partnered with the Thai Human Imagery Museum who uses fiberglass technology to create remarkable life-like statues. At the end of a long night of teaching in March 2011 at Vajrapani Institute, Lama Zopa Rinpoche added that Vajrapani Institute’s future meditation hall should contain one-thousand statues of Lama Yeshe. This statue will act as the prototype for smaller ones to be made available to students. To create a life-like and life-size statue of Lama Yeshe to inspire students and generate vast stores of merit to support the flourishing of Vajrapani Institute. To be shipped to Vajrapani Institute to be approved by Lama Zopa Rinpoche. To generate funds to complete project. Fourth quarter of 2015 if statue is approved. Financial accessibility to our retreat program is a core value. Sangha are our fellow travelers on the path of the Dharma. Vajrapani Institute’s Sangha Scholarship Fund is used to provide full and partial scholarships to both the lay and monastic Sangha who wish to receive teachings or do retreat on our land. In most Buddhist countries, monastics are completely supported by the community. In the West, where this tradition is not yet established, many monastics are left to fend for themselves and it can be difficult for those of the lay community to access the Dharma, which is still considered a luxury in our culture. Vajrapani Institute offers around $17,000 worth of retreat time to sponsor the Sangha annually. Help us cover the cost of offering the most precious gift of the Dharma to our precious Sangha community. Donating to Vajrapani Institute is the best way to support this sacred, transformative place. Our donors are the ones that make all our retreats possible. The program income only covers a portion of our expenses. This is so our prices remain accessible and attendance can genuinely be socially diverse. By becoming a donor, you enter a circle of friends committed to making that possible. Vajrapani Institute closes down annually in January to enable its staff to partake in personal retreat. Our ability to create conducive conditions for retreatants depends largely on our staff being able to deepen their own practices. In 2010 Vajrapani Institute’s Board of Directors made a commitment to support the staff by establishing a Winter Staff Retreat Fund to sponsor staff’s rent, food and health insurance costs during retreat.